Lovely, comfortable 4 bedroom house, with a stunning deck and garden area with stunning sea views. Clifton is a sought-after, up-market area known for its sheltered beach attracting a chic up-market crowd. 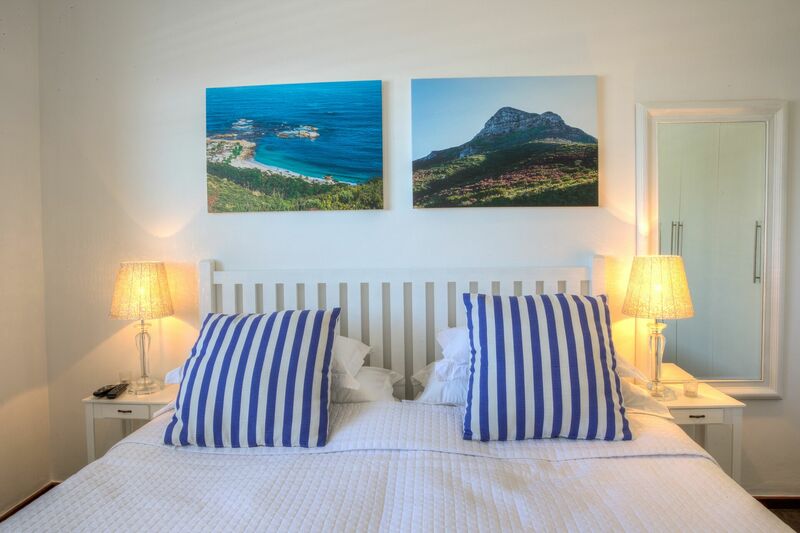 A unique feature of Clifton Sunsets is its location: Situated on Kloof street, overlooking the world famous Clifton Beaches and within walking distance to Camps Bay beachfront, this is truly a picture perfect self-catering holiday rental for couples, singles or families. As you enter the property, you are welcomed by a well-spaced dining and lounge area leading onto a patio with breath taking Sea Views, outdoors dining area and swimming pool. The open plan kitchen is fully equipped with everything you could possibly need. There are 3 bedrooms in the main property and an additional bedroom located on the top level with its own separate entrance.